The wax impregnated fabric makes Batik umbrellas amazingly waterproof. 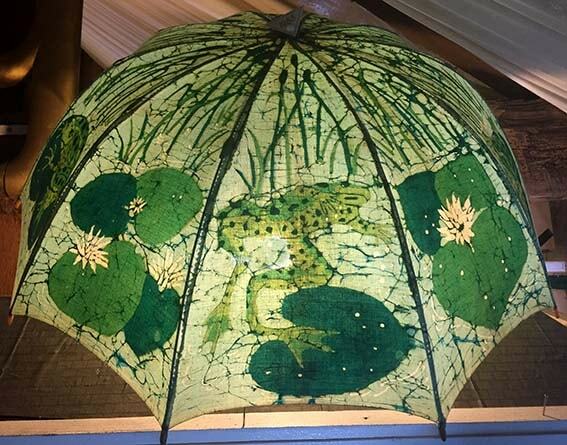 However, this frog umbrella, which I made for myself, is definitely a one-off . The Batik was easy - sewing all the panels together and putting it on the frame was a total nightmare!